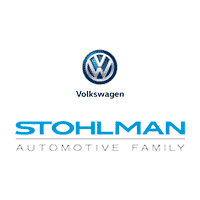 Stohlman Volkswagen is committed to each customer’s experience, from sales to service and beyond. Our job is to ensure you are taken care of, no matter why you’re stopping by, and to do everything possible to ensure you leave our facility with a smile on your face. Before you head over to Tysons, check out this video and see what we’re talking about, then come on by and see our dealership for yourself! Our staff can’t wait to show you around and give you the best Volkswagen experience in the region! Don’t believe us? Click HERE to read our excellent reviews on DealerRater!